You may have prayed, as I have, for someone’s heart to change. It could be that they were unforgiving and angry. You hoped for acceptance and calm. They may have been cold and uninterested in matters of faith. You longed to see their hearts tender and warm toward God. God can work in anyone’s life in any manner that He chooses. Sometimes, I think that there can be a series of events that build upon one another, culminating in what seems to be an instantaneous shift in attitude. I have heard the story of a famous author who was not a Christian. After some believing friends had spoken to him many times about their faith, he suddenly came to believe in Christ himself. Imagine a wall–a high, brick wall. On the other side of that wall, a beautiful scene of rolling hills and farmlands is visable. A stone is placed at its base. The next day, another stone is set upon it. Day after day, other stones are positioned in front of the wall, some on top of others. You decide the climb the stones. Still, you cannot see over the wall and you are unaware of what lies beyond it. Climbing back down, you go on your way. As time goes by, more stones are placed in front of the wall. Finally, they are reaching higher than before. Deciding to climb again, you scale up the stacked stones until you reach the top. Looking over the wall, you gaze at the beauty before you, seeing the hills and farmland for yourself. Things that people say to us about faith in God. Acts of kindness and love from others. As we are exposed to each “stone” we climb higher and higher until one day, we see the truth for ourselves. As we pray for others, we need not grow weary in our hope for them. 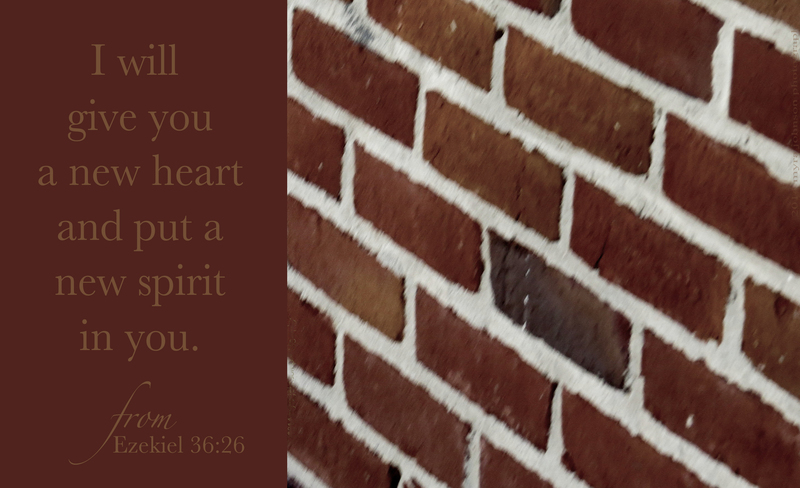 Each day, a stone of testimony may be placed in front of those we love. ending in a changed heart for God.